So you think you know it all?....... 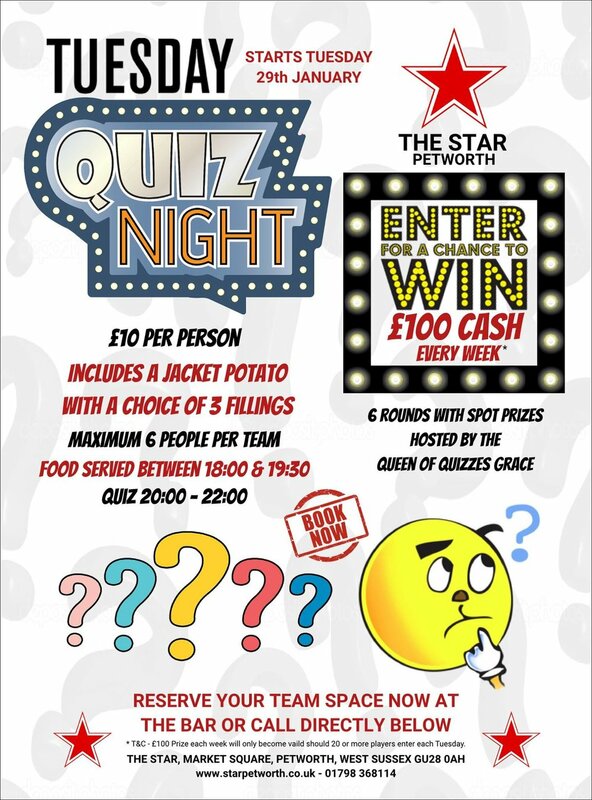 PROVE IT... "When I say Pub you say Quiz... PUB....."
Join us every Tuesday evening for The Star Pub Quiz. Every Tuesday you could be walking away with the top prize of £100* CASH not to mention a couple of spot prizes. Entry is £10 per person which includes a jacket potato with a choice of three fillings. Food served between 18:00-19:30 with the quiz 20:00-22:00. Maximum 6 people per team playing six rounds.